Q: What are Disability Benefits Questionnaires (DBQ)? A: Disability Benefits Questionnaires (DBQs) are downloadable forms created for Veterans' use in the evaluation process for disability benefits. DBQs will help speed the processing of Veterans' disability compensation and pension claims. DBQs allow Veterans and Servicemembers to have more control over the disability claims process by giving them the option of visiting a primary care provider in their community, at their expense, instead of completing an evaluation at a Department of Veterans Affairs (VA) facility. The streamlined forms use check boxes and standardized language so that the disability rating can be made accurately and quickly. Q: Why were DBQs developed? A: DBQs were developed to streamline the collection of necessary medical evidence for the purpose of processing Veterans' claims. DBQs provide Veterans with an improved means to submit medical evidence to support their claims. Q: Who is authorized to complete a DBQ? Veterans Health Administration (VHA) clinicians. Q: How many medical conditions are covered by DBQs? A: More than 70 DBQs cover a full range of medical conditions. While some DBQs are specific to a single condition (for example: hypertension, arthritis, and prostate cancer), most forms can be used for several related conditions (for example: heart conditions, kidney conditions, endocrine conditions). Please see the extensive list of conditions on the VA website at: https://benefits.va.gov/compensation/dbq_listbysymptom.asp. Q: Where can you find DBQs? Q: What are the benefits of using DBQs? A: DBQs simplify the documentation of medical conditions. By completing check-the-box DBQs rather than generating long narrative summaries, it is anticipated that VBA will reduce the time it takes to make a claims decision. Also, providers treating Veterans who are familiar with their conditions can speed the process by completing DBQs for their patients. Q: How do DBQs help with VA's Fully Developed Claims (FDC) Program? A: DBQs are valuable for Fully Developed Claims processing because they provide medical information that is directly relevant to determining a disability rating, which helps ensure the VA's ratings specialists have precisely the information they need to start processing the claim. Q: Will VA reimburse providers' examination costs or travel costs to the Veteran for DBQ-related actions? A: No. This information is printed on the DBQ forms and appears on the Internet website where DBQs are publicly available. Veterans have the option to take a DBQ to their private provider or Veterans Health Administration (VHA) clinician for completion, but Veteran are responsible for any related co-pay or costs, including costs for travel or testing. (A Veteran is always entitled to an examination and any required testing at no charge for a scheduled compensation appointment that has been requested by VBA.) Asking your primary care provider to complete a DBQ is no different than asking your provider to write a letter or note providing medical evidence of a medical condition in support of a claim. The same co-pay rules apply equally to both situations. Q: How can you get further answers to DBQ questions? A: VA has a national call center available to assist at (800) 827-1000. A: No. Use of DBQs is not mandatory. Q: How do you submit completed DBQs to VA? A: Veterans and/or their physicians may mail or securely fax completed DBQs to the VA Regional Office handling the Veteran's claim. 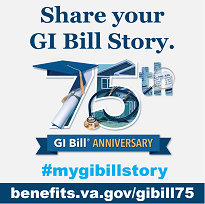 To find mailing addresses, visit the VBA website at: https://www.benefits.va.gov/benefits/offices.asp. To find fax numbers, visit the VA website at https://benefits.va.gov/compensation/dbq_fax_numbers.asp. Completed DBQs may also be submitted directly to the VA Regional Office. Q: Will DBQs reduce claims processing time? A: Yes. If a provider uses a DBQ to evaluate a medical condition for a disability claim, it has the potential to significantly reduce the processing time. Q: Will VA make these forms available for additional medical conditions? A: There are no more DBQs planned for public release. With few exceptions, the current DBQs cover every condition for which a Veteran can receive compensation. If you have questions or cannot find the appropriate DBQ, please call 1- (800) 827-1000. Q:Which DBQs are not available for use by private providers? Q: Why are those DBQs not available for public use? A: VA has determined that the examinations required to complete those DBQs either require specialized training, specialized equipment, or specialized testing generally not available through private providers or, if these examinations are available, the cost to the Veteran would be so great as to render the DBQ cost-prohibitive. For these reasons, VA has determined that it is in the Veteran's best interest to still require these examinations to be conducted by a VA clinician. Q: Are DBQs just for presumptive conditions (conditions presumed to be service connected)? A: No, DBQs will be used for almost every condition for which a Veteran can receive compensation. Q: Why would a Veteran need a DBQ if VA has most of their medical records? A: In some cases, VBA can use information in the Veteran's health record to adjudicate the claim, if the information is sufficiently complete for rating purposes. However, if the information in the health record is incomplete, VA will require a DBQ to provide the additional medical evidence needed. Q: How far back can previous medical test results be used as evidence when completing a DBQ? A: There are no set rules regarding the age of available test results. If previous tests reflect the current medical condition of the Veteran, the examiner should indicate that those test results reflect the Veteran's present condition and degree of disability. Q: What happens if VBA finds a DBQ completed by a private physician or a VHA clinician insufficient? A: Incomplete DBQ forms do not contain the information needed to rate the disability and, therefore, are considered insufficient. VA will strive to obtain the needed information during the claims development process. However, if the additional information cannot be obtained, VA may have to schedule the Veteran for a VA examination. Q: Can DBQs be completed during a regular medical appointment? A: Yes. Many of the DBQs can be completed in a short amount of time. The estimated respondent burden for each DBQ varies from 15 minutes to 1 hour depending on the complexity of the form and the conditions covered. The estimated respondent burden is listed on the DBQ form itself. Q: Should providers discuss the completed DBQ findings with the Veteran? A: The providers are the most qualified to discuss the Veteran's health, but cannot and should not offer any opinions as to the outcome of the disability benefits claim. VBA, not the provider, makes the decision on the Veteran's disability claim. The provider should remind the Veteran that the examination and DBQ report are only one part of the total evidence reviewed by VBA in making a disability benefit decision. Q: Will private providers be trained or certified in VA examination requirements, similar to VA clinicians? A: No, private providers completing DBQs are providing medical information on a Veteran they are treating. This is no different than letters previously submitted related to a Veteran's condition. DBQs ensure that primary care providers gather the medical information VA needs to determine the disability rating. Q: Who can complete a mental health DBQ? a clinical or counseling psychologist completing a one-year internship or residency (for purposes of a doctorate-level degree) under close supervision of a board-certified or board-eligible psychiatrist or licensed doctorate-level psychologist. Q: Will VA use DBQs for Post-Traumatic Stress Disorder (PTSD)? A: Yes. However there are two separate DBQs for PTSD depending on whether the Veteran has already been told by VA that he or she is "service connected" for PTSD. If the Veteran has already been told by VA that he or she is "service connected" for PTSD, then a private mental health provider may complete a Review PTSD DBQ (VA Form 21-0960P3). However, if a Veteran has not already been told by VA that he or she is "service connected," then a DBQ for the initial diagnosis of PTSD (VA Form 21-0960P4) must be completed by a VA mental health provider. The Initial PTSD DBQ cannot be completed by a private mental health provider. Q: Will VA use DBQs for any other mental disorders? A: Yes. DBQs concerning all other mental health conditions (other than the initial diagnosis of PTSD) can be completed by any private mental health provider meeting the criteria described above.